All across the web there are tonnes of theme generators for all sorts of CMS but where does plugins come in? Right here! It’s time that a plugin generator gets some spotlight. MyPluginBuilder was founded by a developer who had more skills in the backend than frontend development. After months of development and trying out WordPress theme builders, he had a great idea to build an online plugin builder and that’s where MyPluginLab came to life. He wanted to create a way to help designers who struggle with backend code to build plugins the same way he struggles with frontend styling and use theme generators to help him. Now, after months of development there is finally a generator that not just creates snippets of code but compiles them into an installable WordPress plugin. The lab is not just for frontend developers but for expert developers as well. Why would an expert use a plugin builder? Simple! As an expert or midlevel developer, you know that those freelance projects valued way below your hourly rate are a waste of time to develop from the ground up. However, if you had access to a generator that generates the plugin in minutes then after a few tweaks and polishing, you can accept those smaller projects and still turn a profit. 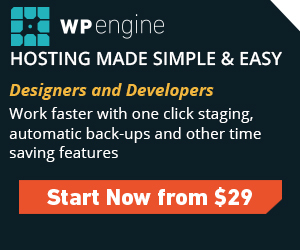 So, the plugin builder is a win-win for all WordPress enthusiasts.